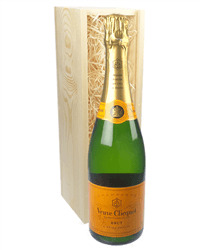 A single bottle of Veuve Clicquot Yellow Label Champagne. 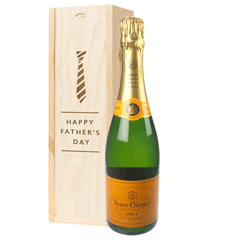 Presented in a luxurious stained wooden box with traditional joins and hinged lid with clasp. The inside of the boxed is lined with grey silk and you can personalize this gift by adding your own personal message.